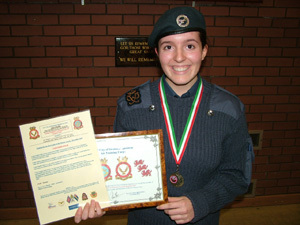 Corporal Sophia John (f) was awarded the 'Best Cadet Award', when she attended RAF Rheindhalen, Germany Camp in July/August 2006. 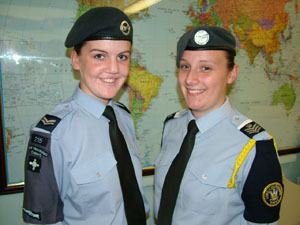 Comgratulations to ICWO Rhiannon Prosser (f), Corporal Kelly Russ (f) and Cadet Danielle Morris (f) who have all been selected to represent No 3 Welsh Wing for the two week overseas camp at RAF Akrotiri in Cyprus in April 2006. 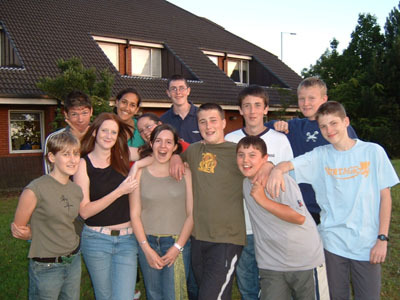 ICWO Barry Garnham, ICWO Daniel Thomas, Cpl Ceri Austin (f) and Cpl Carley-Jayne Schuneman (f) were all selected to represent No 3 Welsh Wing for the two week overseas camp at RAF Akrotiri in Cyprus in March/April 2005. 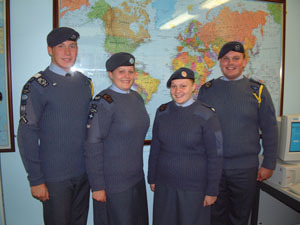 Their selection rewarded their outstanding service to the Squadron. at RAF Rheindhalen in Germany in July 2005.